Emily Young and Mark Arendz both reached the biathlon podium for the second straight day, winning silver and bronze respectively in the standing classifications at the para nordic World Cup in Sapporo, Japan, on Thursday. Young took one more step up the podium following a bronze-medal performance on Wednesday. Young, 28, raced to a season-best second-place finish on Thursday in the sprint distance. Arendz, 29, was not able to match his silver-medal finish from the opening day of the season finale, but put together one of his strongest races of the season for bronze. North Vancouver's Young enjoyed a perfect day of shooting and fast skis to clock a second-place time of 18 minutes 32.7 seconds in the women's five-kilometre sprint event. "Shooting clean was definitely the difference today," Young said. "Our category is filled with good shooters who also happen to ski fast. Today I decided to go hard off the line, push the skiing and try to relax in the range." Ukraine's Oleksandra Kononova shot clean to win the gold medal at 17:40.1. Bohdana Konashuk, also from Ukraine, missed one shot in her final stop at the range, dropping her into third at 19:18.0. "We all had wicked fast skis thanks to our awesome team of wax techs," Young said. Brittany Hudak of Prince Albert, Sask., finished fourth for the second-straight day and clocked in with a time of 19:20.2 after knocking down all 10 shots. 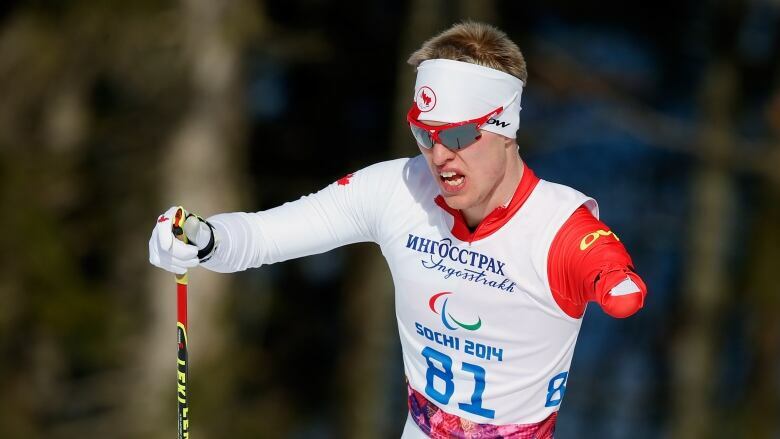 It may not have been a victory, but Arendz put down one of his best performances of the year in a tight biathlon sprint race. The Springton, P.E.I. athlete shot clean and skied strong for 7.5 km to post a time of 18:25.6. "That felt like one of the best races I have had all year in biathlon," Arendz said. "I felt more at home on the range, and able to push the limits a little today. "Yesterday's race really helped me bring my level up, and I skied much better. It was a great way to finish the biathlon season with one of the closest races of the year between the top-three men." With just five seconds separating first from third, Benjanmin Daviet of France, swept the biathlon races in Japan, taking gold at 18:16.0. Norway's Nils-Erik Ulset was also clean in shooting to edge Arendz out for the silver with a time of 18:23.5.